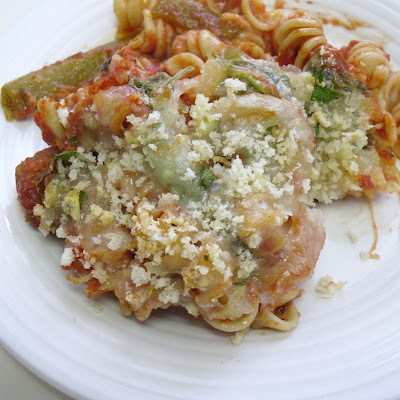 Using many of the same ingredients as my Tuscan Sausage & Spinach soup, I created this delicious casserole with a completely different flavor. Starting with a base of classic sausage & peppers, this recipe is enhanced with the addition of healthy spinach, a layer of whole grain pasta, and a delicious garlicky herb crust. 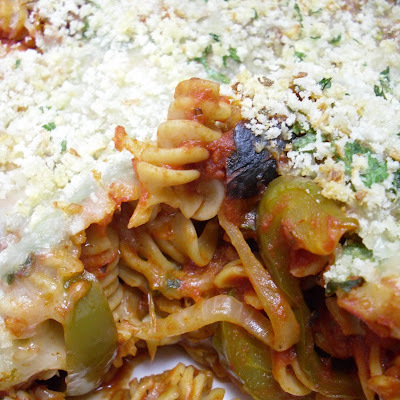 This recipe will easily serve 8-10 hungry friends and family. Wine pairing: The tomato sauce and spicy sausage in this recipe will pair well with Sangiovese or Chianti (these wines are from the same grape), which are medium-bodied fruity wines and are available from Italy or California. Sauté peppers and onions in large skillet over medium heat in a few tablespoons of vegetable oil until tender. Top with spinach, cook until just wilted. Remove vegetables from skillet and set aside. Slice sausage into ½ inch pieces and cook in large skillet over medium heat until brown and no longer pink/red. Combine pasta, vegetables, sausage, and sauce in large casserole dish. 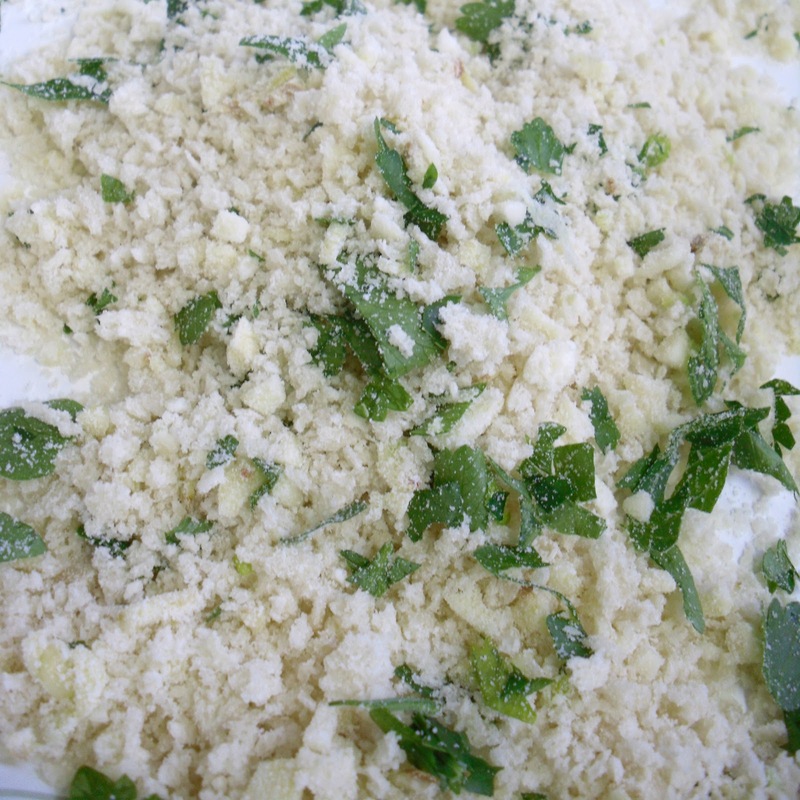 In a medium bowl, combine garlic, panko, parsley, and parmesan. Drizzle with olive oil and stir to coat evenly. 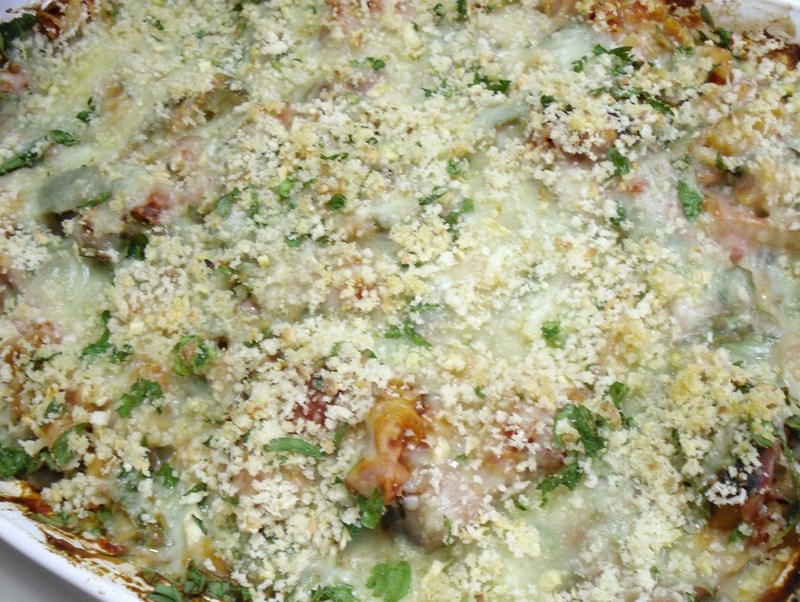 Sprinkle mozzarella cheese on top of casserole, then top with garlic panko mixture. 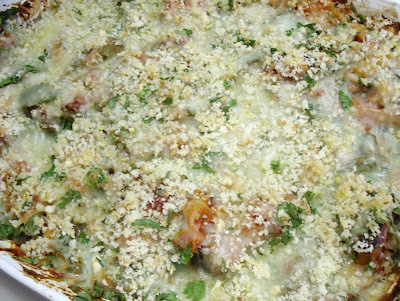 Bake in oven for 20-25 minutes, or until mozzarella melts and panko topping starts to brown. Allow to sit for 10 minutes, serve, and enjoy!